Happy New Year! You didn’t see that coming, did you? I didn’t welcome the new year in January properly, so here I am. In fact, I didn’t really know what to think about another year until lately. It’s safe to say that with it being February, we are still in the first part of this year and so it’s relatively new. Every year, I try to think of a verse or a spiritual theme that I would like to see manifested in my life for the coming year. Of course, with me being forgetful sometimes, I don’t always remember what that is by December. If I write it down, I forget where I put it so then I just trust that God was working in and through me anyways. This year, I have come to realize that it is one of challenge. I have not been very diligent at being disciplined in almost every area of my life. If I happened to be 100 lbs back in the day, it wasn’t because I was exercising faithfully on purpose. It was because a good-looking guy I knew loved to ride his bicycle, therefore, I rode my bicycle, trimming off any teenage fat I had. 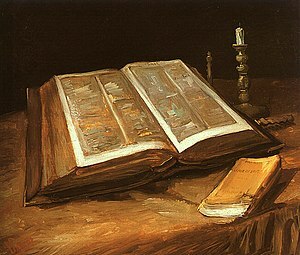 Spiritually, I have had times of regular reading of my Bible and praying, but it never lasted longer than a week. I know you may be surprised with that, me being married to a pastor and all, but it’s the truth. I started off this year with the Elimination Diet. If you don’t know what the Elimination Diet is, in a nutshell, taking everything out of your diet that could cause a reaction, either allergic or digestive or both . The list of food I couldn’t eat was long, the duration was 30 days and it was HARD. Eventhough it was tough, I made it through the month, with the strength that God gave me. I was in tears a few times over how to make 2 suppers every day and figure out what I could and couldn’t eat. I found a few things that I seriously react and things my body doesn’t like very much. I am trying to figure out what to do with this information in how I eat from now on. How am I going to cook without tomatoes, dairy and gluten? If it’s going to help in my health transformation, then I’ll do it. I say that with gritted teeth but determination filling my being. Starting the year on a crazy diet was a huge challenge, but I had to give myself a deadline and it worked. I jumped both feet in. It also gave me confidence that I could head a challenge straight on. What is my next challenge? Spiritual discipline. I want Jesus first before anything else. This is probably the most difficult because it impacts every area of life. I want to live and breathe Jesus in everything. I want to get into the Word.I don’t want to read it and say “that’s nice” and going on without truly studying and thinking about it. I want to meditate on what I read and have His words draw me closer and closer. Prayer – I need to pray more. We are praying as a family a little more with our little Prayer Box (which needs some additions. We want to make our kids aware that it’s important to pray for others. For myself I am praying more positively and regularly for friends and family and even for people I haven’t met online if they need prayer intercession. As far as the changes we or I am making, the kids are responding well. They are eating it up. Mommy exercises? We exercise with her! I like it. This has been my challenge in Feb. It’s always hard to exercise when my body feels like it’s on fire before I get up but I’m trying to say no to the pain and just do it. I am not perfect but I am determined that challenge will change my life as well. I am secretly thinking of entering a 5K run. Am I crazy? The last challenge I have for myself, and I’m almost afraid to share it. My challenge is to write articles and then attempt to get them published. I am going to delve into the world of serious writing and get myself published. It requires hard work and diligent study of the business of writing. There is one more area I am challenging myself. Oh my. It’s a biggie and I will share with you when I am not falling asleep. It’s a gooder. All that to say is that I am not a Type A personality who makes things happen but this year, with God’s direction, I am going to be challenging myself in many area. My first challenge is to make Jesus FIRST everyday. From there everything should come into perspective. This entry was posted in Spiritual life, transformation, Uncategorized and tagged challenges, spiritual transformation. Bookmark the permalink. Looks like you and I are on a collision course, chickie! 🙂 What magazines are you thinking about?? There is a local group called INSCRIBE that has a writing workshop coming up in Saskatoon at the end of April if you’re interested – and a woman I know is teaching a course on getting published in magazines. Hmmmm….. Check out their website – I’m a new member and thinking of going to this conference if I can. Do you have your ‘brand’ settled yet? That will help you to decide what to write and which places are better for your work…. Exciting and scary and challenging all rolled into one!